Oh.my.gosh! 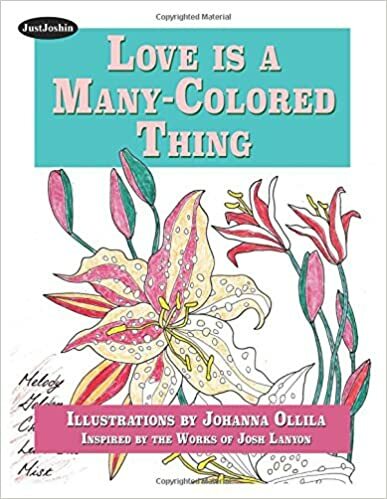 ❤ My book Love is a Many-Colored Thing by Johanna Ollila and Josh Lanyon arrived! ❤ It’s a coloring book for adult that I won over at Q&A with Josh Lanyon at Goodreads during the Love Is a Many-Colored Thing – A Colorful Launch Party. It’s also a sort of Christmas present from Josh and Johanna (yeah, it takes that long for a package or letter from overseas to arrive here in our country). The book I won comes with a set of colored pencils, btw. 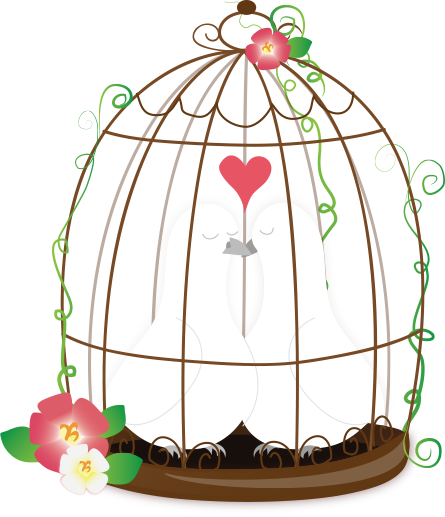 A coloring book for readers of Male/Male and LGBTQ romance. Art inspired by the works of Josh Lanyon and brought to life by you! This particular art was inspired by Stranger on the Shore. 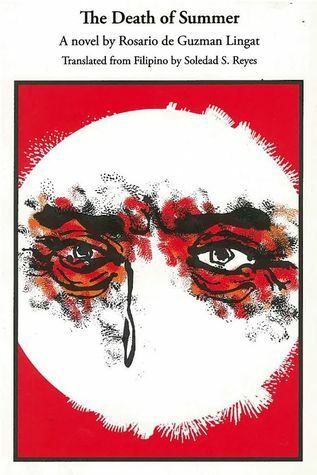 I’ve read and reviewed this one, having received an ARC from Carina Press, and it turned out as one of my favorite books of all time. Click this link to read my review. 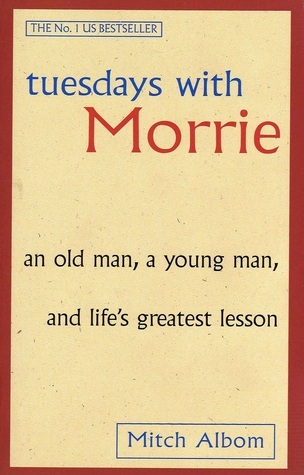 I bought a copy of this book from Amazon way back and finished it in one sitting! Admittedly I have yet to write a review (hangs head in shame). I will soon, but will have to reread it first. My next favorite is from Winter Kill. I’ve read this book as well, having won a copy from the group although I have yet to write a proper review. Argh. 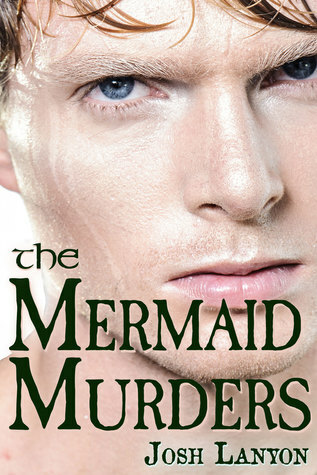 This book also went straight to my all-time favorite list and its spin-off, The Mermaid Murders, is kind of on top of that list. Okay, I’ll stop here. Will probably post at least three more of my favorite art from the book tomorrow. Meantime… the story of how I won the book and the colored pencil. To celebrate the release of Love is a Many-Colored Thing, the moderators had thrown a launch party. Calathea, one of the moderators of the group, asked us to color a mandala. Now, I disliked coloring when I was a kid. I did it once, saw my horrible, horrible work, and sworn off drawing and coloring for life. Lol. But because there was a color picker and I wasn’t going to do any drawing, I tried it, because, why not. Surprise, surprise, I had fun doing it. 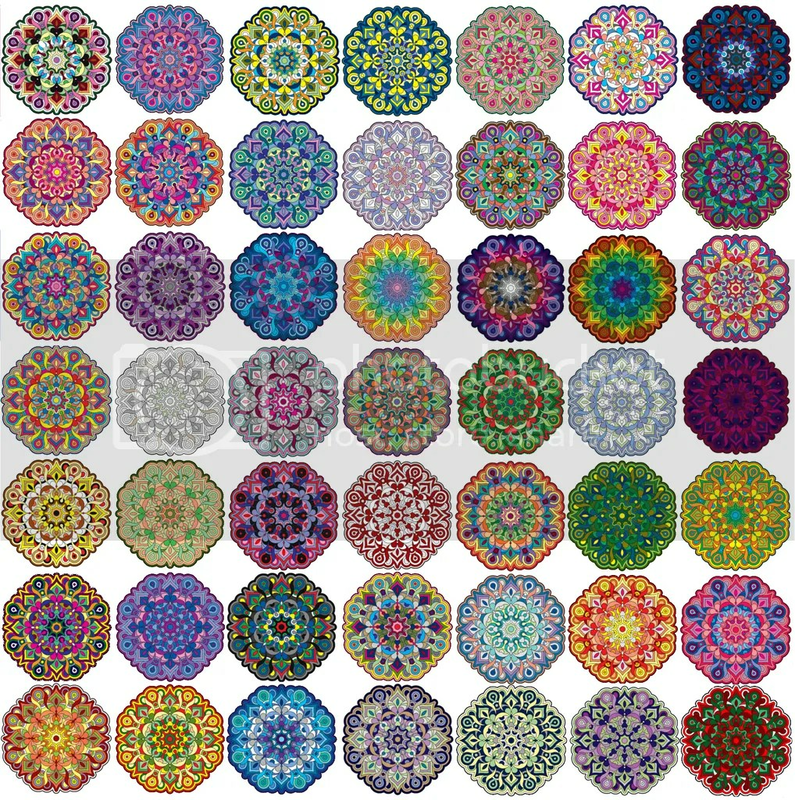 I roped my SO to color one, btw, and the fourth mandala (the blue one) is his. Naturally, the other members produced much better output than me but it didn’t matter, for the first time I had fun coloring. I even made one patterned from our “parols” or the Christmas lanterns here in the Philippines (the fifth one in yellow, red, and greens). The image below shows the collective result of our efforts [courtesy of Calathea who painstakingly made the patchwork tile :)]. Since then I bought a lot of coloring books (as gifts to my godchildren, nephews, nieces, friends last Christmas and for their birthdays). And since then, I’d been coloring in my free time. Still not that confident in showing my works though. Lol. 😀 And I’m not sure I already have the courage to color this book but yeah, maybe someday when I’d had enough practice. 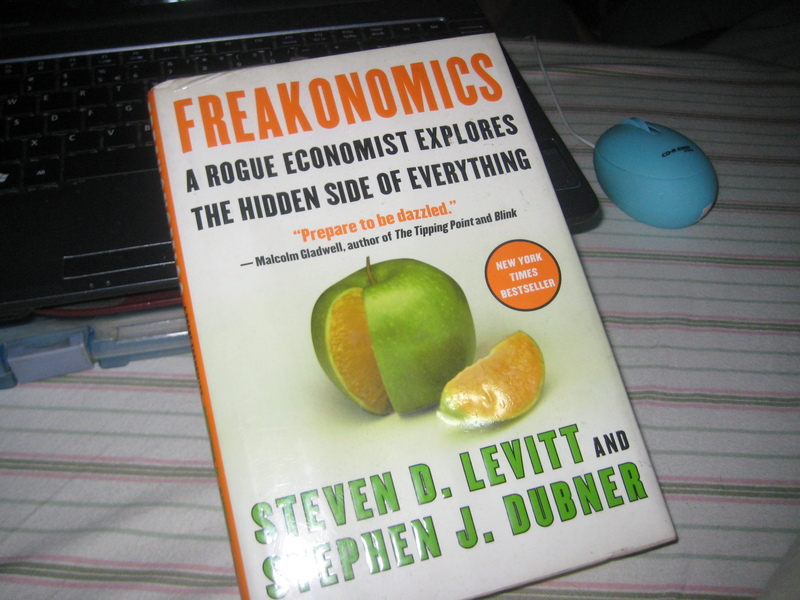 Notes: Hubby bought this book for me over two years ago but I can’t seem to get past the Prologue. Reading this with PRPB and I’m hoping I’ll get to finish it this time. Notes: A reread. Bought two of this in December 2002; one for myself, one for my friend CJ as a Christmas present to her. Christmas on Catalina Island–it’s just what the doctor ordered. Injured in the line of duty, FBI Special Agent Shane Donovan is longing for a few days of peace and quiet. Some nice meals, a couple of good books, and maybe a bottle of the best. No family, no friends, no Fa la la la la…just a little time on his own to think things through. But an offshore storm, a geriatric treasure hunter, and the guy who dumped him without a word two years earlier are about to unwrap all Shane’s carefully laid holiday plans. 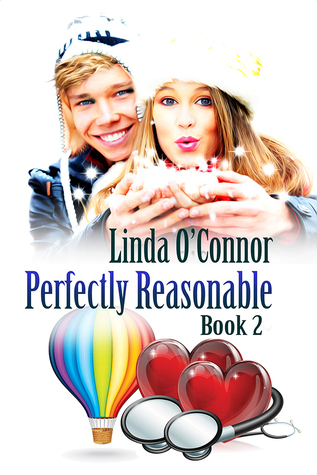 Published By: JustJoshin Publishing, Inc.
Notes: Won this over at Q&A with Josh Lanyon over at Goodreads along with a 24 piece Faber-Castell colored pencils. Notes: ARC, done reading. Review to follow! With that out of the way, I wanted to talk about the books I won these past months. Enjoy the book! Yay fast fingers. The package also has a synopsis from Mina’s book Playing Autumn and two stickers: the other merely enumerating the male characters in Mina’s books while the other said “Team Robbie” which made me happy because Mina remembered I was rooting for Robbie in her Interim Goddess of Love series. 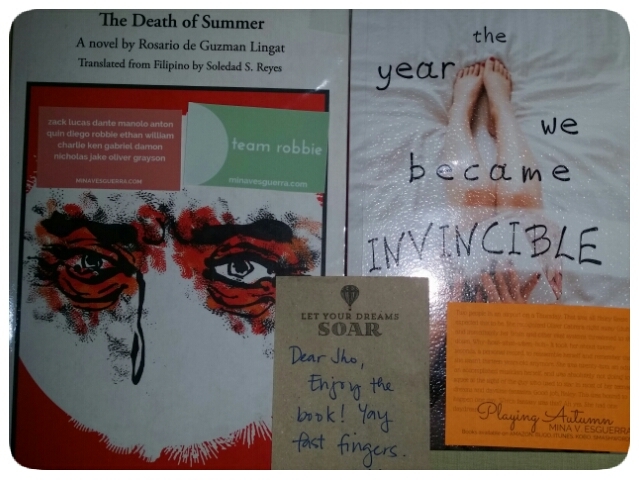 On the other hand, the left book seen on the picture above titled The Death of Summer by Rosario de Guzman Lingat, translated by Soledad S. Reyes is the book I won from Rise last June. The Death of Summer was an award-winning novel that powerfully dissects the anatomy of romantic, delusional love. 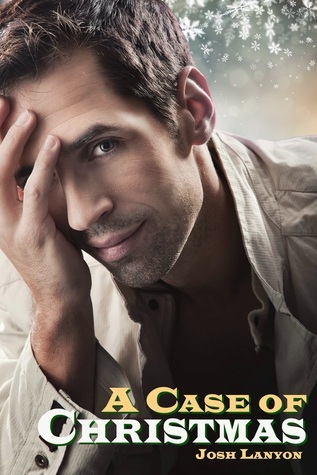 Its protagonist, Victor, a firm believer in carpe diem, discovers that once the heat of passion has waned, the only thing that matters is family. 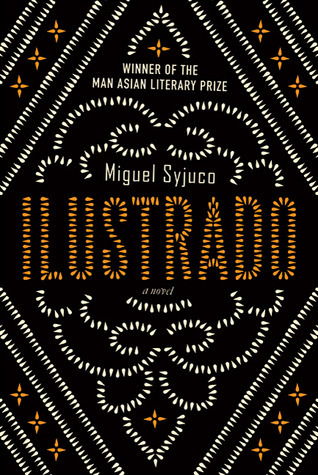 The novel spans several decades—from the heyday of the carnival in the 1920s, to the horror of the Pacific War, until the great unrest of the postwar years. 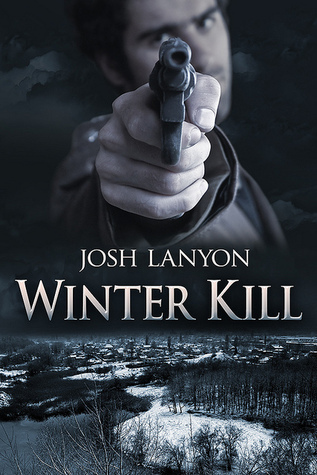 Last June I also won an ebook copy of Josh Lanyon’s Winter Kill. 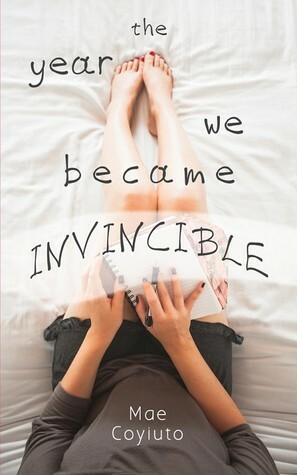 When I held The Year We Became Invincible in my hands yesterday, it made me want to finish my own book—the memoir I’ve been talking about in my previous posts. I mean, I’m only five-six chapters away, how hard can that be? After all I did manage to write fifteen others before that. But I’ve been staring in my screen for these past few days to no avail and I try not to stress about it because it gives me fever and / or headache whenever I do. Thank you again, to everyone who gifted me with these books. 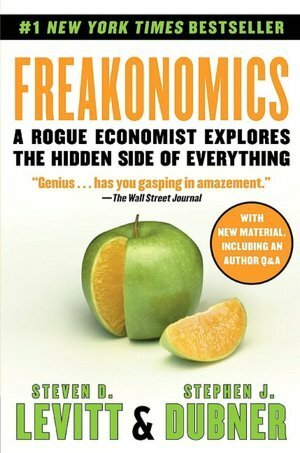 About nine, ten years ago, my friend Claude went home and gifted me with this book. It turned out to be a great read. Thank you, Claude! I should reread this one of these days. 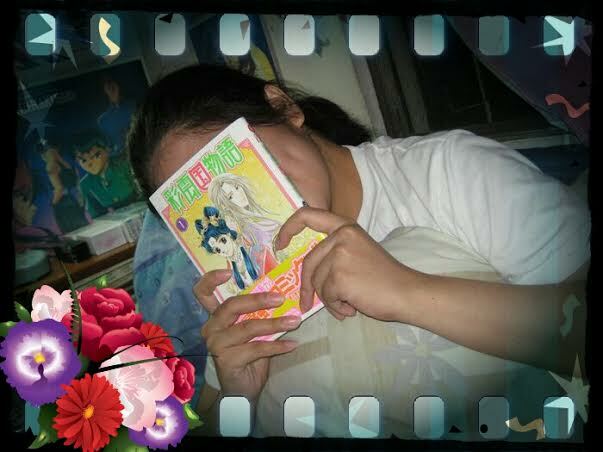 Some three years ago, my friend Adrian gave me Saiunkoku Monogatari books as pasalubong. He knew how much I loved the anime so he gave me copies of the manga when he went home for vacation from his doctoral studies in Japan. So I still don’t know how to read the manga (it’s in Nihongo). But I love it so much! The story is so complicated and beautiful and funny and amusing and at the same time, heartbreaking. 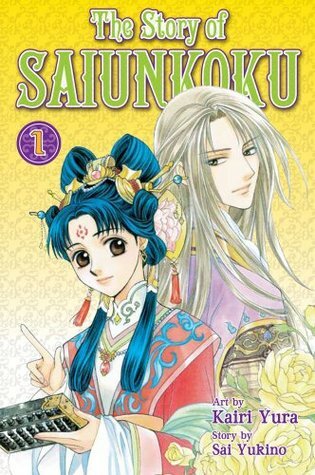 I love Shurei Hong – the protagonist – she’s so strong and wise for her age. I love her love interests too – Ryuki and Seiran. I don’t want to spoil the story for you so that’s all I’m going to say. This is why I love Megan Derr. 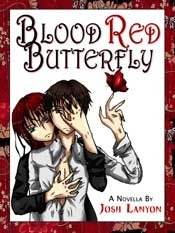 She can make a brilliant story out of a very simple plot/idea – and turn them into something complicated and different. That’s what sets her books apart from the others of the same theme. Embrace is like that. 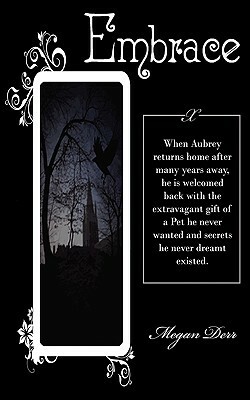 At a glance, you may think that this is just another vampire story. But it isn’t. I really don’t know how she does it. But just like her other works that I’ve managed to read so far, reading a page meant wanting to turn it to the next page and not putting it down until I’m done. And, just like her previous works, I also love the characters in this one. They made me laugh, giggle, smile, feel ‘kilig.’ The ending of this book is simple but fitting after all the issues and mystery and whatever they are called. I know it’s already the ending, and it was satisfactory; still, a part of me wanted to read more. While I acknowledge that the book could use further editing, I don’t see why it was pulled out of the market for good. I guess I just have to be glad that I have a copy of it. I really hope to meet her in person someday. I’m a huge Megan Derr fan. I’ll never get tired of saying how awesome she is! Now, I’ll be off to read another book of hers. Or maybe review another.